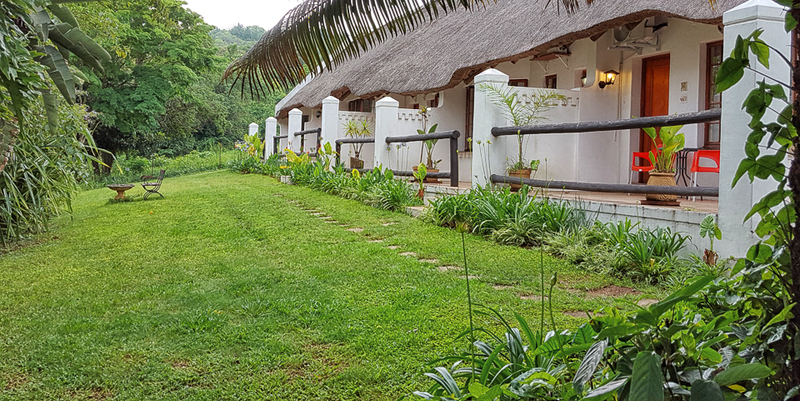 Hamilton Parks Country Lodge is located just off the R40 in the heart of the Lowveld in Mpumalanga and just a 15km drive to the Kruger National Park’s Phabeni gate. 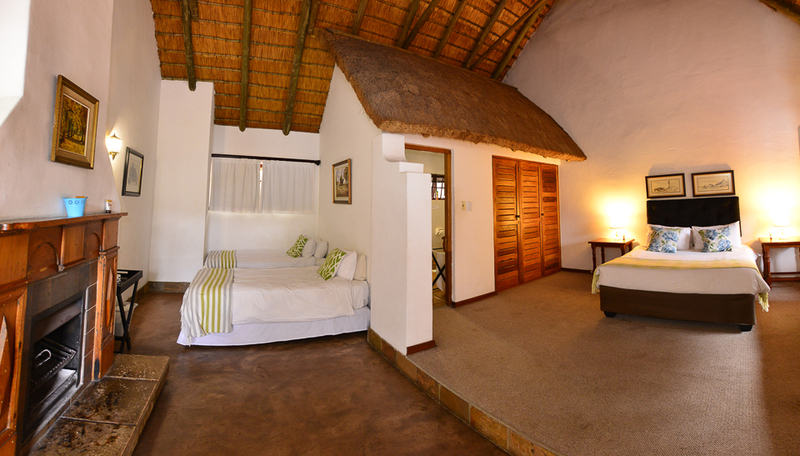 It's an ideal place for a stopover or to use as a base to explore the southern Kruger National Park. 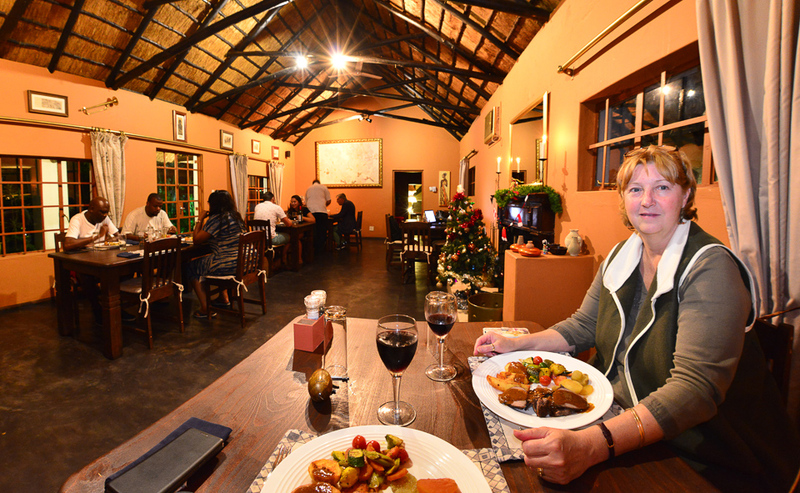 This beautiful Cape Dutch style country lodge is family owned and managed by Lyn and Kurt. The 250ha property was previously a dairy and banana farm, all the non-indigenous species have been removed and now there is an abundance of wildlife. We saw the vervet monkeys, heard the bush babies and owls and had a quick glimpse of the Red duiker (very rare species). They also have bush pigs, porcupine, bushbuck and a number of beautiful birds. The entrance lounge has an inviting feel with its mini library, then between reception and the bar area lies another seating area, which has a lot of history such as the names of the 1820 Settlers as well as French, German and Dutch names that are still heard today in South Africa. The covered veranda just off the bar is another area where you can enjoy a pre-dinner drink or early morning pre-breakfast coffee. There are many other interesting features to look for and photograph around the lodge. There is no Wi-Fi, but this may change so please ask when you make your booking. Kurt told us that the dining room and kitchen area was Stevenson Hamilton’s first home, how’s that for a bit of history. 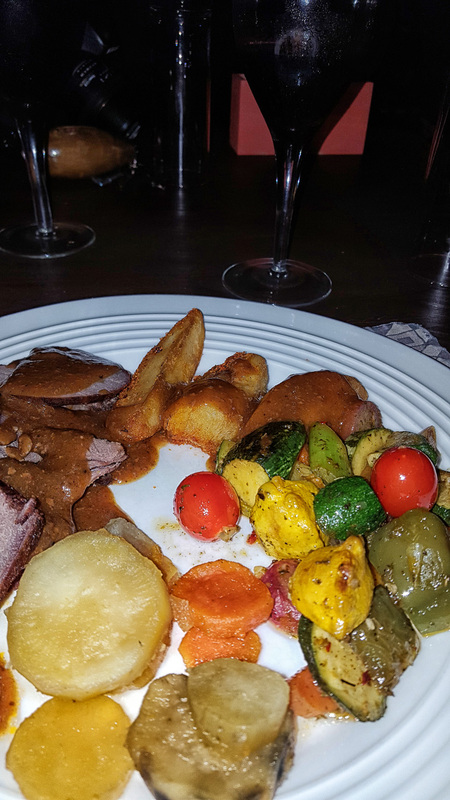 We had a delicious 3 course set dinner; our starter was Kudu meat balls and main was Impala fillet with grilled veg and to finish off our dinner with Malva and custard pudding. Impala fillet with grilled vegetables for dinner. A hearty cooked breakfast is served with all the trimmings. Breakfast packs can be arranged for you the night before, any other meals & refreshment/drinks will be for your own account. The bar is a lovely cosy place to make new friends. The queen rooms are all individually decorated with queen size bed and en-suite bathrooms (closed off from the main room). Our room #1 looked onto two large litchi trees that were laden with fruit and Kurt told us to help ourselves - they were delicious! Two family units have a queen size bed and two single beds and all the other amenities that go with the other rooms. The honeymoon suite, no 7, or the Jan van Reibeeck suite as we call it, is furnished in a bygone era with a four-poster king size bed, and en-suite bathroom with a ball and claw bath and a free-standing shower. All the rooms have a bar fridge that can be stocked on request, air conditioners, tea/coffee facilities, bathroom amenities, hairdryers and plug points and some rooms have a fireplace. All the rooms have a patio with lovely views over the lush gardens. Passionate guides will take you on a bush go-kart track, a 4x4 track as well as leisurely hike in the Bushveld with trails, to suit all levels of fitness, on the property. Relax round the swimming pool which is surrounded by lush evergreen bush. Or you can take a drive to the many special places the Hazyview area has to offer. 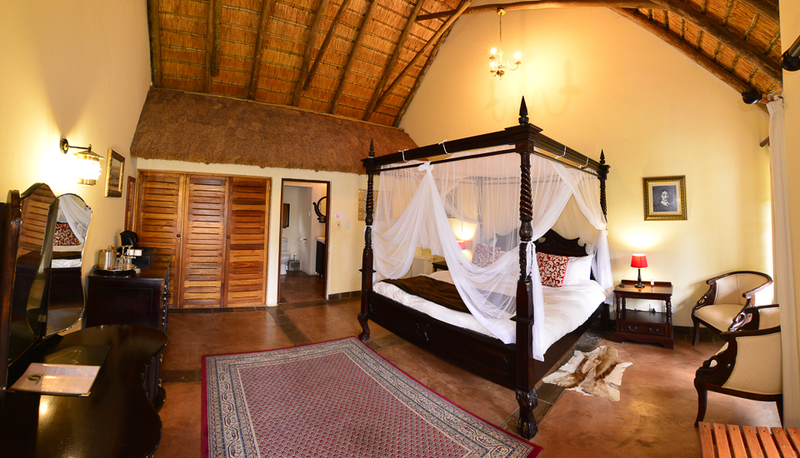 Book a guided game drive into the Kruger National Park with the lodge. A Safari guide will pick you up at the lodge at approximately 05H30 and drops you back at the lodge at 16H00 or do a self-drive into the Park, which is our kind of fun! 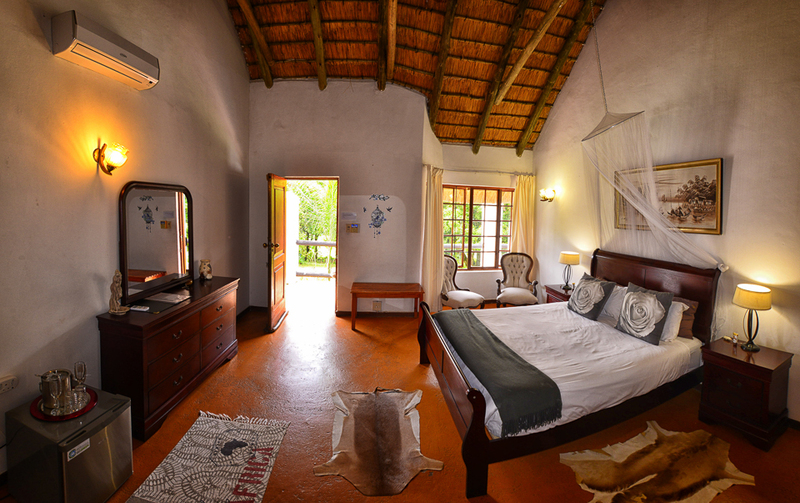 For more information or to book your stay at Hamilton Parks Country Lodge please click here.